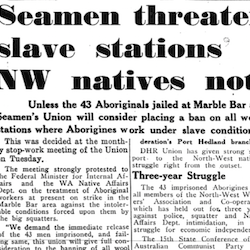 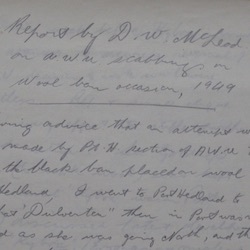 The imprisonment of so many strikers, and the use of chains in making the arrests, led the Fremantle branch of the Seamen’s Union of Australia to impose a black ban on the shipment of wool from Pilbara stations. 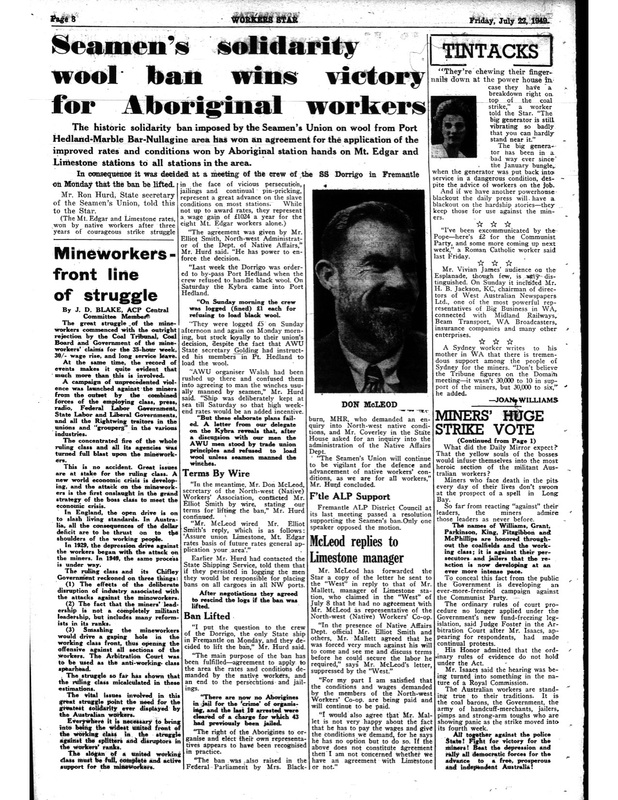 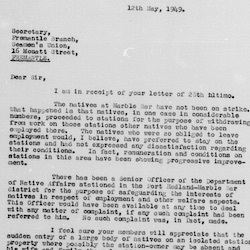 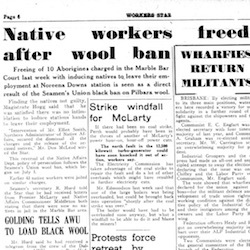 Although there was little or no disruption to the wool industry, the ban was not insignificant, adding weight to the actions of the Aboriginal strikers and forcing the Department of Native Affairs to find less punitive responses to the strike. 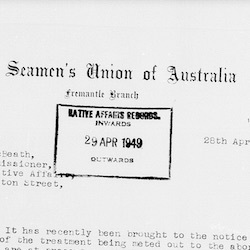 Secretary of the Fremantle Branch of the Seamen’s Union, Ron Hurd, gave the government two months warning before imposing the ban on 1 July 1949.